The TL2575 and TL2575HV greatly simplify the design of switching power supplies by conveniently providing all the active functions needed for a step-down (buck) switching regulator in an integrated circuit. Accepting a wide input voltage range of up to 60 V (HV version) and available in fixed output voltages of 3.3 V, 5 V, 12 V, 15 V, or an adjustable-output version, the TL2575 and TL2575HV have an integrated switch capable of delivering 1 A of load current, with excellent line and load regulation. Fixed 3.3-V, 5-V, 12-V, and 15-V Options With ±5% Regulation (Max) Over Line, Load. Adjustable Option With a Range of 1.23 V to 37 V (57 V for HV Version) and ±4% Regulation (Max) Over Line, Load. 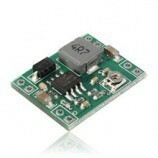 Wide Input Voltage Range…4.75 V to 40 V.
(60 V for HV Version). 52-kHz (Type) Fixed-Frequency Internal Oscillator. TTL Shutdown Capability With 50-µA (Type) Standby Current. High Efficiency…as High as 88% (Type). Thermal Shutdown and Current-Limit Protection With Cycle-by-Cycle Current Limiting. 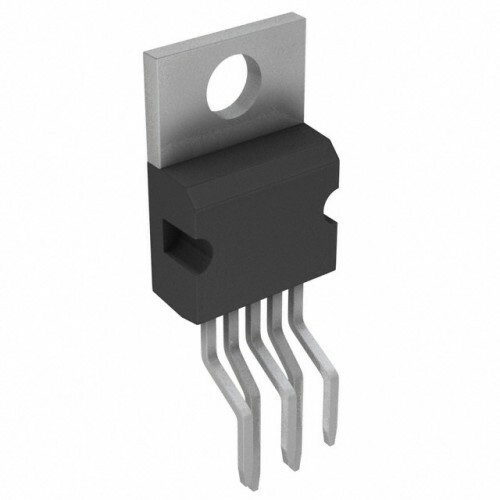 Also Searched as: tl2575 datasheet, tl2575 33, tl2575 5, tps54240, tps54331, tps54620, tl2575hv, tps54060.